Normally when we think of monthly box subscriptions, images of beauty products or health products come to mind. But we have just found a new type of box subscription which potentially has the power to change the world. Why? Because ‘Little Ms. Crate’ is no ordinary product. 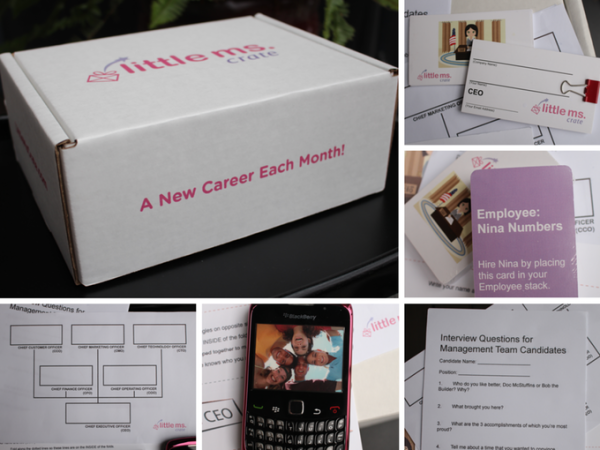 It is a box filled with ideas that can inspire girls to take up careers which affect the way the world works. Sorry beauty products, you’ve been outdone this time. 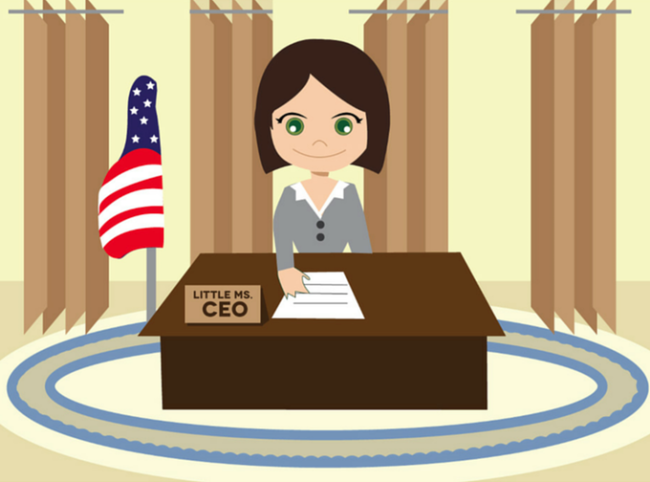 Founded by Boston-based ex software company VP expert Reid Craig, who also happens to be a father to a 15 month old daughter, Little Ms. Crate was designed to encourage girls to become interested in STEM careers and look at women in positions of leadership as aspirational, as opposed to the regular slew of celebrities and toy brands that have successfully managed to position themselves as (albeit unrealistic) role models. With the gender gap that exists in areas of science, tech, engineering and math careers (although women do outnumber men in some areas of STEM academic study) , as well as leadership roles in government, the movement to engage a young generation of girls in the STEM fields has never been more crucial. Studies show that at an early elementary school level, boys and girls have an equal interest in math and science. But as they get older and hit the teenage years, the number of years drops off dramatically, whereas boys continue to excel in these areas. How do we change this trend of yet another generation of girls missing out on becoming part of industries that continue to innovate and essentially make the world run? Well one major solution is to combat all the messages in the media and in society that teach girls their value and worth comes from their appearance. When we allow girls to fundamentally understand STEM careers have no gender specification, and allow them to be immersed in this world just as much as boys, it can make a huge difference in the careers they choose as they get older. 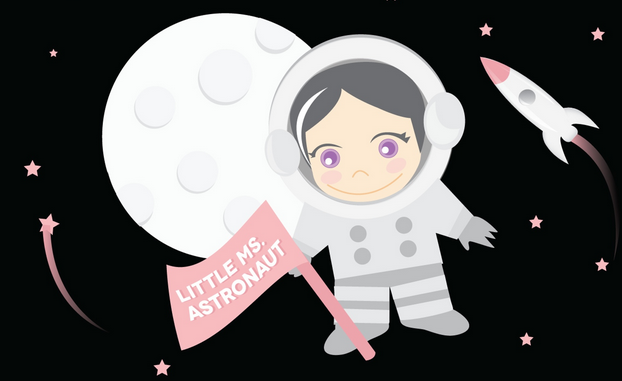 By launching a Kickstarter campaign for Little Ms. Crate, Reid raised over $20,000 which means he can bring his project to life and to the homes of many little girls, which will begin in March 2016. “As an obsessed father of a (spectacular!) 14 month old girl, I’ve seen so many products that attempt to “make STEM fun for girls” by simply applying glitter, or camouflaging it as a jewelry-making kit. Young boys and girls are very similar — you don’t have to shy away from bugs, dinosaurs or dirt to interest girls! Of course, there are some differences in typical play patterns between the genders — not to mention different social pressures around things like asking questions, being assertive, and being competitive. Little Ms. Crate focuses on a mix of social activities that are cooperative and dramatic (role-playing), as well as solitary activities that are creative and open-ended,” said Reid on the Kickstarter campaign. The idea is that instead of just relegating girls imagination to the pink toy aisle, which is slowly being eroded with products like Goldieblox and the news that Target has gotten rid of its gender specifications in its toy sections, they have the chance to be exposed to careers like an astronaut, a CEO, a judge, and a scientist (for example) and hopefully envision themselves in the same role one day in the future. By having a monthly subscription that comes to their doorstep, they can also create their own imaginative narratives with the STEM products, as they normally would with Barbies or Bratz, for instance. It’s a brilliant idea, and certainly something we wish was available for many of us when we were girls. The two-fold mission to enable girls to become interested in STEM fields while also encouraging them to take up positions of leadership in the workforce by presenting them with role models and the foundational ideas for what it takes to be a leader are crucial, not because it dismantles what exists in society, but it builds on what girls are taught in a more comprehensive manner. “Many little girls have fun today playing at mommy, nurse, or veterinarian. In doing so, they start to understand why those jobs are important, what skills it takes to be good at those jobs, what sorts of things they might enjoy about that job, and which subjects are important to study if they want to pursue that job. Through this “make believe” exploration, they develop the sense that they could do those jobs, if they chose. Little Ms. Crate simply introduces other important professions, so our girls can learn, get comfortable, and “make believe” with them, too,” says the website about how the monthly subscription aims to help change the status quo. At the end of the day, Little Ms. Crate just wants to give young girls an equal opportunity to develop skills that will help change the world, alongside the boys. Schools and universities may not have the infrastructure or the need to push for equality, but that’s why it is important parents like Reid and many others find everyday solutions to problems that can help their own child as well as many others. “Our society may not be very good at teaching elementary physical science in a way that is welcoming and interesting to little girls, but if your favorite little girl has already had fun playing at being a NASA physicist and started thinking it might be cool to be part of the first research team to go to Mars, it’s no longer just some new textbook with a bunch of boys on the cover — it’s the first step towards doing experiments on Mars,” says the Little Ms. Crate website. If you are a parent who is interested in receiving a monthly STEM box subscription, we recommend subscribing to their newsletter as they update fans and backers on their progress leading up to their launch in March 2016. 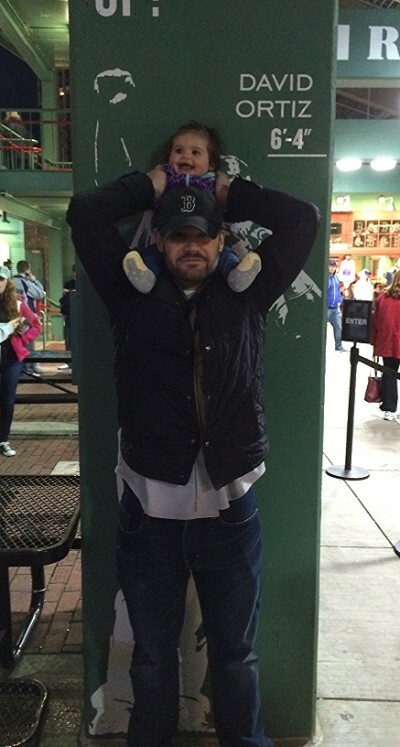 Thank you Reid Craig for being a great example of the type of superdads we want to see more of in the world!